Last updated: 20 December 2016. I’ve just returned from a week living in the village of Huay Pakoot in the mountains north of Doi Intathon. My daughter and I were doing some volunteer elephant work with Global Vision International which involved trekking in the forest every day for 4-5 hours following the elephants. I’m absolutely terrified of snakes, and walking in the jungle was easily the most difficult thing I’ve ever done. I’m still not over it. I didn’t see a snake in the woods, only two on the road (one dead, one moving, but I think the car we were in killed it). The people we were with assured me that despite their best efforts, none of them had ever seen a snake either in the village or in the woods. I think that was just due to either inattention or lack of skill. Reading your site, it seems that snakes could have been in the village and were certainly in the forest. I deliberately did not research this before I left, as I knew I wouldn’t have the courage to do it at all if I knew more about it. Now that it’s over, and I managed to both do it, and not make a fool of myself, how close did I come to snakes? Is there any way to know? I told myself that a snake with any sense at all would just get out of my way, and that’s what I’m assuming they did. But some of the snakes you describe as aggressive. What do you think? Was it just luck that I didn’t meet a snake? If I go back, what are the chances of running into one? 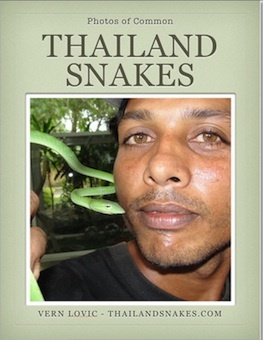 I think fear of snakes is something that puts many people off visiting Thailand. My mother is one of those people that refuses to visit just based on this unfounded fear. In eight years I’ve seen a couple of hundred snakes. My wife of eight years, outside of those I brought home, has seen 3 crossing the road, and one I pointed out to her on a bush. That’s it, in eight years for her. Why did I see so many? I’ve looked for hundreds of hours to find them. I look primarily at night in the jungle. Tourists envision snakes coming out of every crack in the wall, up through the drains of their shower and sinks, and outside every door they step. It just isn’t true. There are 200+ species of snake in Thailand. 85% of them cannot hurt you even if they wanted to – and none of them want to except possibly a giant python – but attacks on humans moving around are very rare. Sometimes when sleeping out in the jungle – someone will be eaten. That happens once every ten years or so. It is not common. You are MUCH more likely to get bitten by a shark than you are a large python in Thailand. I have never once seen a Burmese python in the jungle. I have only seen a half-dozen Reticulated pythons in the wild – none of which were near the size (5 meters) to be able to eat me. Large snakes like that are very, very rare. 1. Malayan Pit Viper – a brown, tan, or pinkish triangle-backed patterned snake that lays in the grass or low cover and waits for mice or other rodents primarily. For some reason they are about the laziest snakes in existence – they just stay right there until someone steps on them or next to them – and then sometimes bite. Sometimes they release venom when they bite, other times they conserve it. If you are bitten by a venomous snake it doesn’t necessarily mean you were envenomated (have venom in the wound). This snake, along with the kraits – are responsible for the most deaths in Thailand. However, this would NOT be the case if everyone bitten went immediately to the hospital. Some locals favor a treatment of herbs, magic spells, and other nonsense – and die as a result of not getting quick medical attention. These vipers are found all over Thailand. 2. 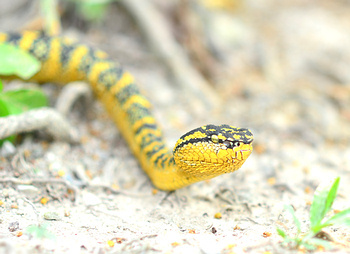 Chain Viper (Russell’s Viper) – another pit viper, with long fangs and larger, stronger than the Malayan Pit Viper. This snake is probably responsible for more deaths across the entire planet than any other snake. This snake only occurs near the east Bangkok and Pattaya areas, so it doesn’t have a very wide range. Most people that handle snakes call some of them “aggressive”. I am at fault for this too. In truth, there are only two snakes in the entire country that might be considered “aggressive” – the aforementioned Burmese and Reticulated pythons that are looking at you as food and may attack you. Again, the chance of this is virtually zero – you can Google it and maybe find 3-4 cases of it – ever happening anywhere in the world. It is not a common occurrence. Some snakes that I call aggressive are those that strike out often when handled. Now, if you think about it – the snake is acting entirely out of self-defense because it doesn’t WANT to be handled. It wants to be left alone. It wants to strike you so you let go and it will immediately go away. Many snakes, even when handled – do not strike out. Some of the most venomous snakes on the planet – the kraits – don’t seem to strike during daylight hours. I have never seen one do so. 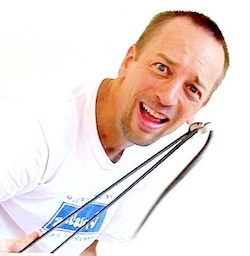 I have seen a Malayan krait turn and bite my snake tongs as I attempted to get a decent grip on him. It wasn’t aggressive, it was trying to get away. Some snakes – and there are only a couple… will come toward a person for a short distance before striking, or before turning and trying to get away. 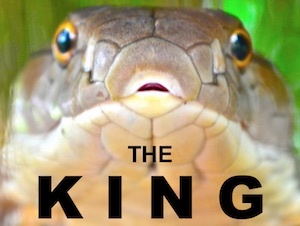 The Copperheaded Racer and the King Cobra are two snakes that do this. Again, they are acting entirely defensively – and by moving toward you they are trying to get you to leave them away so they can turn around and disappear in the brush. I have never seen a snake turn from what it was doing and move toward a person that is a good distance away (3+ meters). Never. I don’t think I will ever see that. I have never seen it on a video or heard about it in the literature. It just doesn’t happen. Snakes are not aggressive – with the exception of those that see you as food. When you visit Thailand, the chance that you will see a snake is small. The chance that you will get bitten by a snake that can cause you harm is infinitely small. You are much more likely to encounter a scorpion, mosquito, jellyfish, or wayward vehicle that can cause you harm than you are likely to be bitten by any snake. 1. 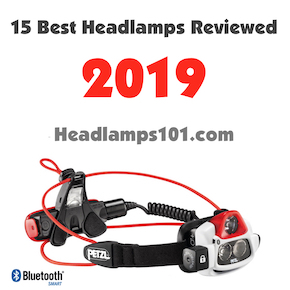 Take flashlights with you and watch where you walk at night. There are more snakes out at night than during the day because Thailand days are very hot. 2. Watch your steps wherever you are. You are MUCH more likely to encounter a snake on the ground than anywhere else. 3. Do not walk through grass where you cannot see clearly what is there beside your feet. 4. Close your doors and windows at night – or use strong screens. That’s about it. There are something like 15,000,000 visitors each year to Thailand. Maybe only a couple of percent see any snake at all. I haven’t heard of a tourist being bitten by a venomous snake in years. You are not likely to be bitten either. Relax, enjoy your Thailand vacation! Hi there I live about 35k outside sakon nakhon and I see about 10 snakes a day .yesterday I had a what thais call noo kabat .to day outside my house on a small bush a green pit viper also two pit earth snakes. I lived here for four years now and must have seen a thousand plus. My friend, please prepare your guest room – I am COMING TO VISIT YOU THIS WEEK. lol…. get some photos, would love to see the snakes you’re seeing! I live in Chiang Mai. I see snakes perhaps once a week or so – I walk a lot, not jungle, just down back lanes to the local bar or supermarket (alongside paddies). Mostly they are road kill (or Thai kill – Thais panic when seeing a snake and smash them with sticks or machetes – makes my blood boil) – sometimes they are just merrily trying to cross the road. I stop and watch them go – beautiful sight. Have had several in my old house (new house has proved snake proof so far) – Loation Wolf Snake and Keel Backs mainly. Watched a large beautiful green keelback make its way across my balcony on it way to a small local stream from about 10 feet away (my kids watched too – from the safety of the window – they were a little afraid to come closer) – also similar snake watched it climb up the vertical face of a house into the eaves – took ages with several slips, but it did it using the corner – amazing to watch. In accidently rode over a smallish (maybe 40cm) brown snake on my push bike – saw it at the last instant – it curled up and played dead, but was OK I think. Didn’t see it too clearly – didn’t fancy my chances going back for a closer look! Watched from a distance as it rolled about on its back for a while, before flipping back and slipping into the grass-line of a paddy field. Think it may have been a young ngu gap pha (Malay Pit Viper?) – hence the decision to watch from a distance. Used to have a Royal Python as a younger man, would love to have one again. We have our fair share of snakes, all shapes and sizes. Today I saw a baby snake maybe 4cms with a black head with whites outlines and a weaved browny/green body/ Cannot find a match for it. Concerns are as a baby there must be a nest in the garden. Your thoughts. 4 cm! Wow. Unless it’s a brahminy blind snake, I wouldn’t even have a guess. That fit?